4.1 out of 5 based on 43 bloggers and 8 commenters. 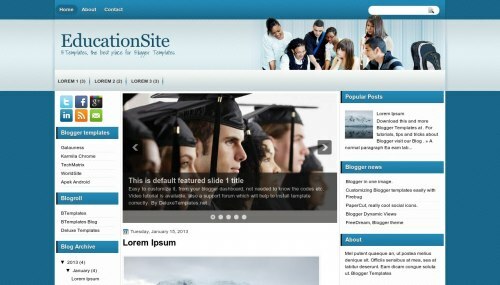 EducationSite is a free blogger template with 3 columns, left and right sidebars, slider and social bookmarking icons. i see the education site so cute it is but if you creat right side bar only then it look very beauti ful. by the way so beautiful. thanks for sharing this. i think, this template good for my blog. can make people jealous for my cute blog. :) thanks for idea to creat this template..